resize brushes and patches without errors. the map still looks good. Edited by NeonsStyle, 23 May 2017 - 02:11 AM. - I can show you an example if you like? of the same texture as the pillars. I felt it needed to be different. It's a good idea, but the scale feels off. 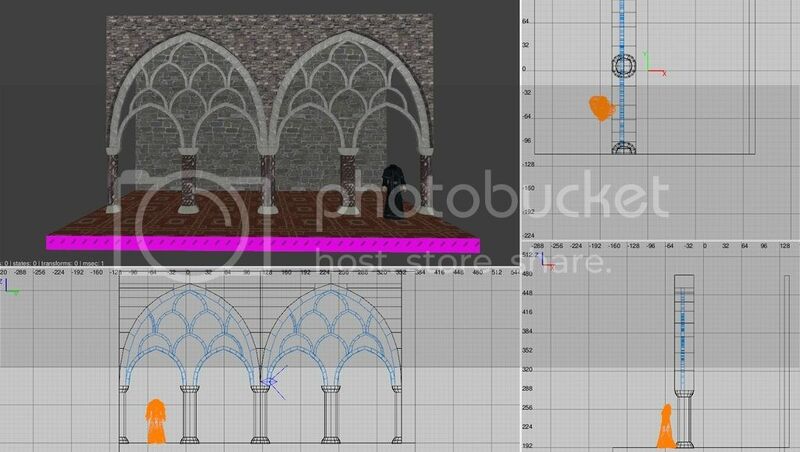 Since it's a gothic architecture, the columns alone should be like 96 or 128. Right now it looks like you can barely go under those arches. What Judith said. The pillars should be at least size of a man, preferrably taller. 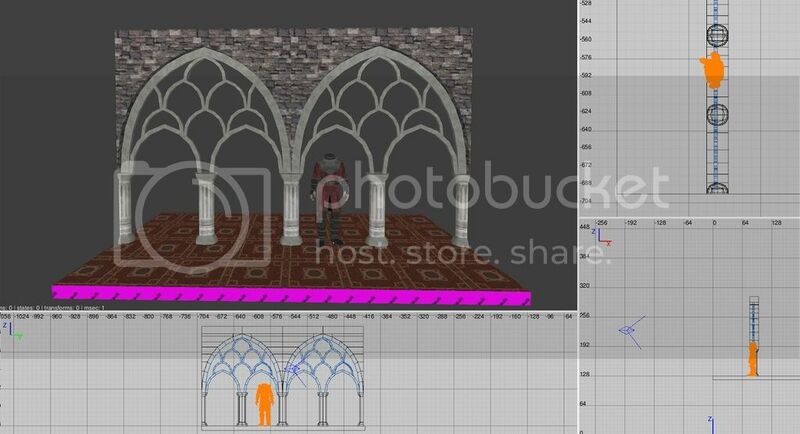 That makes the arches easier to monsterclip too, because you just need to monsterclip the pillar and the arch-work is above the AI you do need to think about it in terms of AI pathing. This is a simple 30min task, so let me knock up something this evening. you can do perfect rescales. As for MC, that's easy too with something like this. Since you only need to clip those things that are an AI can reach. Edited by NeonsStyle, 10 May 2017 - 01:23 AM. got a copy of the prefab, as I would like to show you what I was referring too. Sure I'll PM it to you Biker, I don't think it's ready for release yet, as there's issues from porting it over from gtkradiant. a thought to them as windows. the community. I want to learn modelling so I can make some nice furniture. Edited by NeonsStyle, 10 May 2017 - 01:22 AM. It looks good, although columns have those horizontal splits that don't contribute to their shape at all, since they're all straight. The same goes for arches' shape: until you give them a diffuse/normal that shows that shape, it won't be visible in the ambient light (your image image in lower left corner shows it best IMO). Edited by Judith, 19 May 2017 - 01:32 AM. Dammit, why does this forum keep removing images from posts? The original image is still there. Edited by NeonsStyle, 23 May 2017 - 02:10 AM. I can see all the images on the thread, are you sure your not blocking any cookies..? others can though. So that's good. The images thing appears to be more related to where the images are hosted. You're probably running into hotlinking (https://en.wikipedia...king#Prevention) protections from PhotoBucket.